You should take a Jamaica vacation in order to enjoy the fun in life and great Jamaica beaches. The Caribbean Sea has a healthy scattering of appealing islands ready to make your next vacation the best one ever, but deciding which one to set your sights on can be a bit of a dilemma. If you are thinking about traveling to the Caribbean and would like some R&R and some island culture, then the island of Jamaica is the place for you and your family. 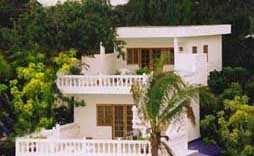 The Beach House Villas and Hotel offers luxury accommodations at affordable prices. 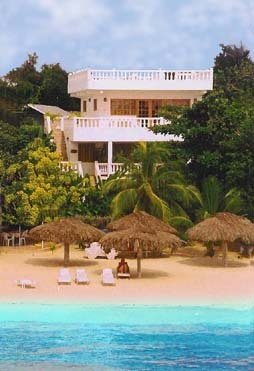 And better yet, they're located right at the water's edge on world famous Negril Beach. Making accommodation reservations can be one of the most stressfull and challenging parts of booking a vaction. The Beach House Villas makes this easy by taking the hassle out of booking. Our beachside villas offer all the comforts of higher priced accommodations while still allowing you the experience of true island culture. Rather then coming to Jamaica to deal with the hustle and bustle oif Kingston or Montego Bay, why not come to the western part of the island to peacefull Negril Beach, where the sand is soft and white and the locals are friendly. Negril is known to be one of the safest places on Jamaica, and offers many different option for the visitor. Negril will be your best experience in Jamaica, where you can make your vacation whatever you'd like it to be. Good vibes will be all around as you waterski, sail, swim, shop and visit Negril's many nightclubs and restaurants. When you stay in the Beach house villas, the only thing between you and the turquoise water is a stretch of white sand beach. Gardens surround the villas on three sides, and are filled with flowering plants and fruit trees. Reach off off the balcony and grab a breadfruit from the trees...it's a Jamaican favorite. The villas are stocked with all the amenities you're used to at home, but with a littel added island style. Linens, cooking utensils, maps, cable television, and free internet access will be sure to make you feel at home. If you're planning to tie the know with that special someone, you'll find fewer more romantic places to do so than in Negril. A sunset wedding on Negril Beach will create a wedding experience that you and your loved one will remember forever. Negril Beach is on the western coast of the island, and offers spectacular sunsets every night. If you're planning your honeymoon, Negril is the spot where thousands of couples have chosen to come every year. It's beautiful scenery and incredible nightlife are sure to set the mood for romance. Getting around Negril is easy and inexpensive. A short taxi ride or walk will take you anywhere you'd like to go. Golf courses and tennis courts, shopping districts and grocery stores, restaurants and nightclubs - Negril has it all within easy reach. Eat out and try the local cuisine, or stock up at the grocery store and cook a meal in the fully stocked kitchens. These tastefully designed villas lookout over the sea in a location that could barely be more beautiful.